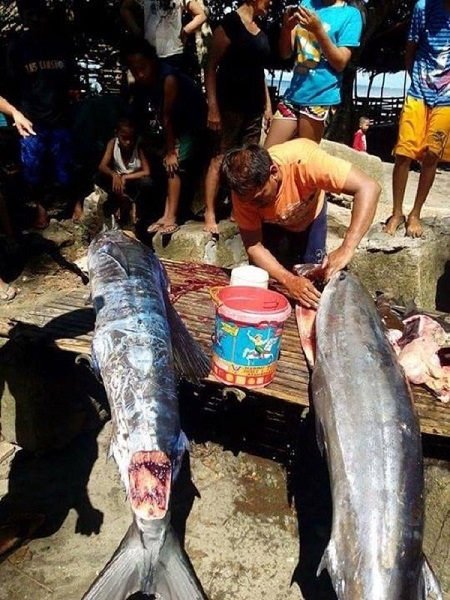 A really strange kind of fish has been spotted in the southern Philippines, causing quite a serious stir on the internet. 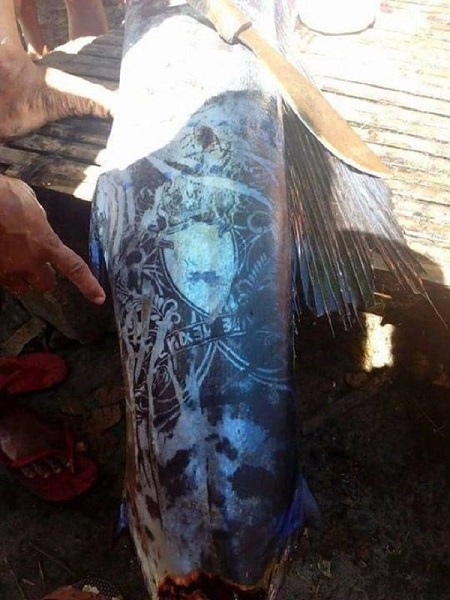 Photos of a large fish caught in the southern Philippines that appears to have its skin covered with artistic tattoo-like markings has sparked quite a debate on social media, with people offering the most outrageous explanations for the intricate design. 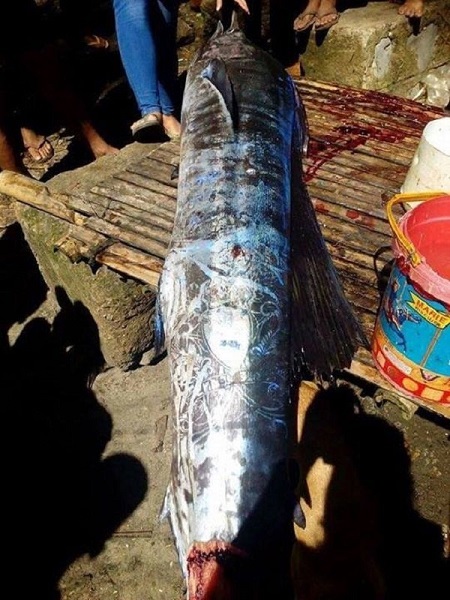 Oddity Central reports that the fish was caught by fishermen in the province of Lopez Jaena, Misamis Occidental, who immediately noticed that much of its skin was marked by artistic designs, including what looks like a crest made up of a crown sitting on top of a shield, some letters and intertwining plant leaves. The strange design also attracted the attention of passers-by as well, some of whom were quick to snap some photos of the fish and upload them to social media. 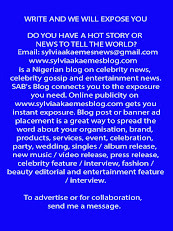 They were soon picked up by large news networks and eventually went viral.